EACH YOUTH HOCKEY PLAYER TICKET COMES WITH A CUSTOM COYOTES BEANIE! 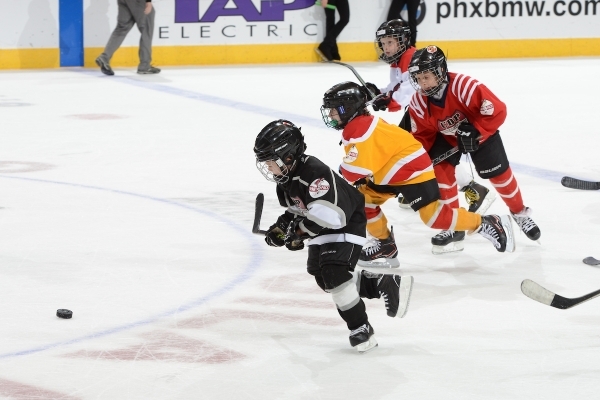 The Arizona Coyotes would like to invite all local youth hockey players and their families out to Gila River Arena for the 2nd Annual Youth Hockey Night! Come check out the Coyotes as they take on local hockey product Auston Matthews and the Toronto Maple Leafs. Throughout the night, there will be multiple in-game features and experiences that will highlight the local youth hockey community, as well as an opportunity for your young hockey players to meet and interact with Coyotes players! See below for details. Post-Game Group Photo w/Coyotes Players: Many if our Coyotes players will come out to join youth hockey players from around the state to take a group photo on the ice post-game! 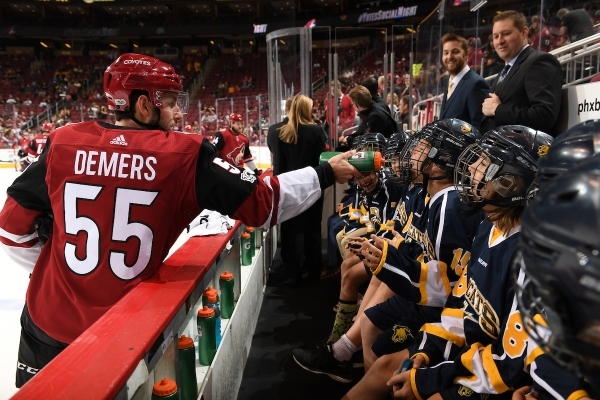 Benchwarmers Pre-Game Experience: Ten (10) randomly selected purchasing accounts will have the ability for their young hockey player to watch pre-game warmups from the Coyotes bench! High Five Tunnel Pre-Game Experience: Twenty (20) randomly selected purchasing accounts will have the ability for their young hockey player to fist bump and interact with the players as they head out to the ice for warmups! 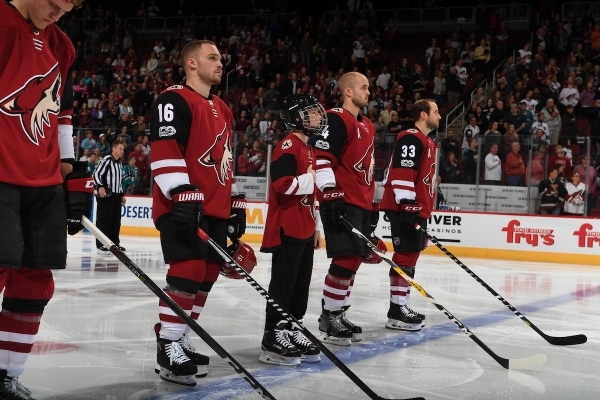 Blue Line Buddies: Seven (7) randomly selected purchasing accounts will have the ability for their young hockey player to skate out on to the ice and stand next to the Coyotes players during the national anthem! We look forward to seeing you here at the arena on December 28th and Go Coyotes! Which rink or program are you with?